Today sparks the first International entry in my Testing Blog Series! 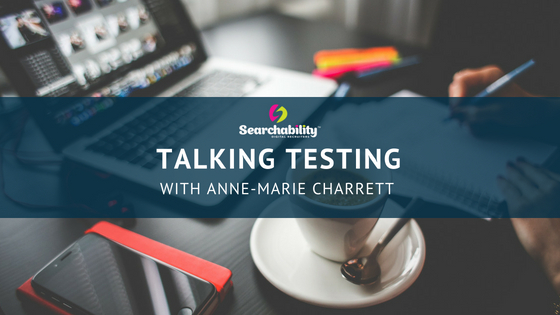 I recently caught up with Anne-Marie Charrett, Founder of Speak Easy Diversity who has over 25 years experience within the Testing Industry! Hi Anne-Marie, Please can you explain how you first became a Tester? Hi Gabbi, my testing career officially started testing ETSI protocols for the European Commission. We would test layer 2 and layer 3 protocols using protocol analyzers. It was fascinating to me how equipment would comply with standards and yet fail to communicate with each other. It was an early lesson in how software can meet requirements but not be fit for purpose. You’ve been in the industry over a decade now, and have worked your way up to “Head of” and “Test Manager” roles, how have you kept yourself continually up to date with the latest tech and test techniques? It’s a real challenge. I’ve tried many ways to keep my skills up to date all with marginal success. It’s really hard to take on a leadership role and still test as you are constantly drawn to solving ‘bigger picture’ problems. No matter how much you ‘read up’ or do training, nothing beats real life experience. My most successful approach has been to take a software testing role. That’s what I’m doing right now. I’m testing API’s and loving it!. As a seasoned Tester what advice or tips do you have for those just breaking into the industry? Right now I’m working with 3 testers who are early in their career. They have come through the Test-Ed program which is an intensive software testing training program. The only certification this program offers is a job. These youths have been trained in software testing, but also to trust their curiosity, not to be afraid to ask questions, be eager to learn and speak up! So, to anyone starting in this industry, do those things! Let’s talk about Speak Easy Diversity, how did this organization come about, and why did you feel it was needed? In 2014, Fiona Charles and I felt frustrated at the lack of diversity at testing conferences. When we and others raised the concern, we got comments like, “we want diversity but no-one applies”, or “we use a merit-based approach to selecting speakers”. My take is this. If you truly value diversity, you will work to improve diversity. Two months prior, I had run a conference where the gender diversity was significantly higher than many other testing conferences. I knew it could be better. Fiona and I decided to do something about it, and the concept of SpeakEasy was born. We are both incredibly proud of what we have achieved with this voluntary program. Many of the speakers currently on the software testing circuit came through SpeakEasy. Many well-known software testers have been mentors too. And of course without the volunteers, specifically Lee Hawkins, Carsten Fielberg and Abby Bangser (a former SpeakEasy applicant) this program would not have been able to continue. What is the value of having a mentor as a new Tester, or a Tester new to doing talks? Charity Major gave a great tweet on this recently. A tester early on in their career has insights and experiences that no-one else has. 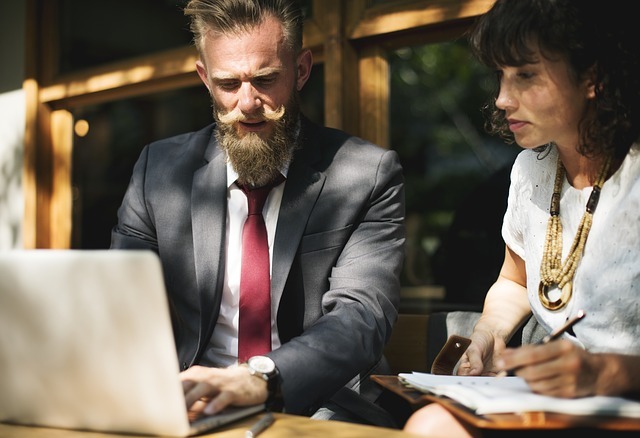 Sure you can listen to a seasoned tester and gain insights from them, but this industry changes rapidly and their advice may no longer be relevant. Also, a seasoned tester’s advice is tainted by years of experience. What seems simple to a seasoned tester may not be that simple to someone starting out. 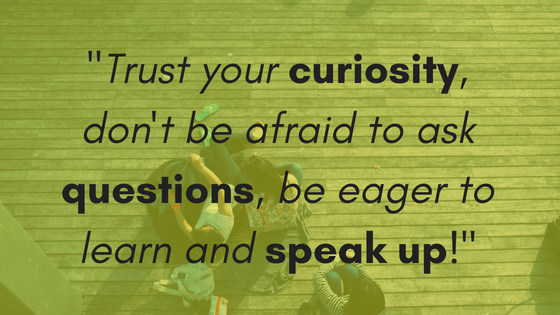 That’s why I think its essential for new testers to capture and share their insights with others. How did you personally get into talking at events and conferences? Oh, that. I had two main sponsors in this area. The first was Rob Lambert. He encouraged me to submit to Eurostar. Initially, I resisted because I felt I had nothing to say, but Rob was very encouraging. The other person was James Bach. I gave my first ‘conference talk’ with him at CAST 2011. We paired on a talk called coaching testers. After that my conference speaking took off and now you can’t shut me up. We’re starting to see a lot more discussion in the digital world about Women in Tech, in your experience do you think people’s perceptions of women in tech are changing? I’m not convinced people’s perception of women is changing in IT. What IS changing is the benefit diversity has to a companies’ bottom line. What IS changing is both men and women are more prepared to speak out on the topic. However, those who think that women can’t code, will probably always continue to think in that way. What I hope IS changing and needs to continue to change is that people are no longer prepared to tolerate this type of bias in a workplace. What do you think would help encourage more girls to get involved in technology from a younger age? Strong senior role models. We need greater visibility of women CIO’s amplified in media. Also, I strongly believe we need to support the mid-level career women to help them move to the next level. I’m blown away by the number of women who drop out of IT mid-career, and it’s not to go and have babies! The number of women at CIO and board level is ~ 9% (US) it would be great to get this to 30%. We can achieve this through targeted sponsorship, bias awareness and everyone wanting better representation. When you aren’t Testing, championing others or giving great talks, what do you like to do with your downtime? I garden. I’ve just sown potatoes, to be ready for Christmas. 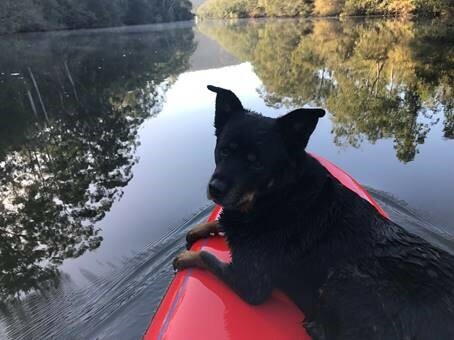 I read a lot, walk my dog and jump on my standup paddleboard. Sometimes I do both at the same time. I also have two adorable teenage boys who help keep me young.